From Titian to Tintoretto, Bellini to Bassano, some of Italy's greatest masters of painting have been Venetian. But without going to Venice, it can be a little tough to get a sense of the various shapes that Venetian art took on during its peak from the 15th to 18th centuries. Through January 30, the Chiostro del Bramante is hosting an exhibit called, simply, "I Grandi Veneti" — the Grand Venetians. More than 80 Venetian paintings are on display, set up chronologically, so you can actually feel how art shifted in Venice over the centuries. For enthusiasts of Renaissance art, the exhibit has some true gems. Pisanello's Portrait of Lionello d’Este (about 1441) revolutionized portraiture, blending Gothic traditions while giving a nod to the shape that Renaissance portraits would take. 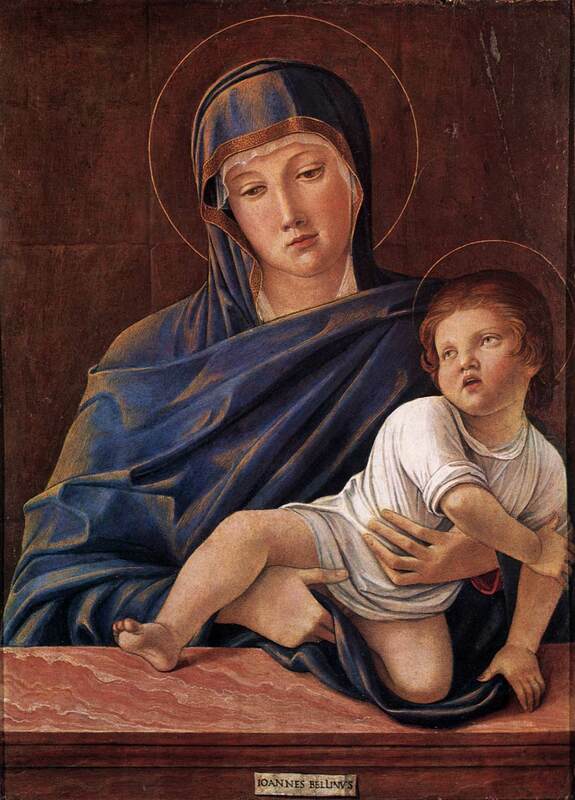 There's also Bellini's lovely Madonna and Child (about 1460) (at top), with its mixture of serenity and sumptuousness that the artist would be renowned for, and a gorgeous series of Madonnas by masters like Jacobello di Antonello, Marco Marziale, and Bartolomeo Veneto (1505). The exhibit traces the rest of Venice's 15th and 16th centuries, taking in Titian, Tintoretto, Veronese and Lotto along the way. 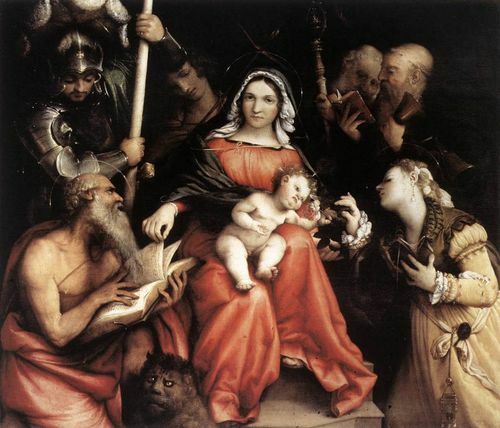 (Below, Lorenzo Lotto's Mystical Marriage of St. Catherine, 1523). The rest of the exhibit — Venice's 17th and 18th centuries' output — has paintings that are probably a little less familiar. That is, except for the ever-ubiquitous Canaletto, whose scenes of the Venetian canals are just as precise and just as lovely in this exhibit as ever. 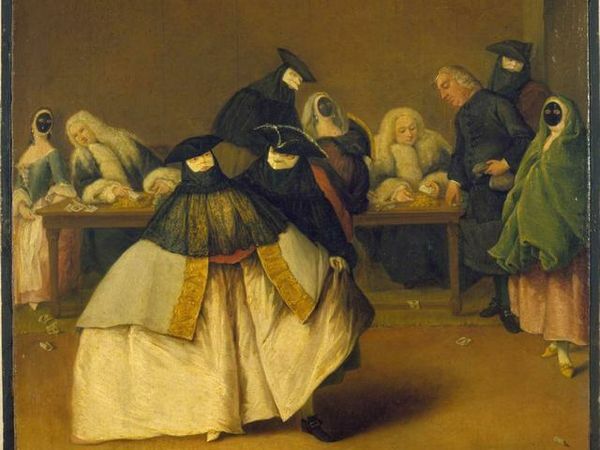 My favorite of this section, though, had to be the simultaneously creepy and tongue-in-cheek Il Ridotto (Maschere Veneziane), done by Pietro Longhi in 1757 — just as criticism of Venice as a "dead" city clinging to her past were ramping up (below). (They still haven't gone away). I Grandi Veneti is at the Chiostro del Bramante until Jan. 30. The Chiostro is at Arco della Pace 5, a stone's throw from Piazza Navona. The exhibit costs €10. For more information, click here. Orvieto was my first real day trip from Rome. I’ve been partial to it ever since. But that’s not the only reason why I love Orvieto. 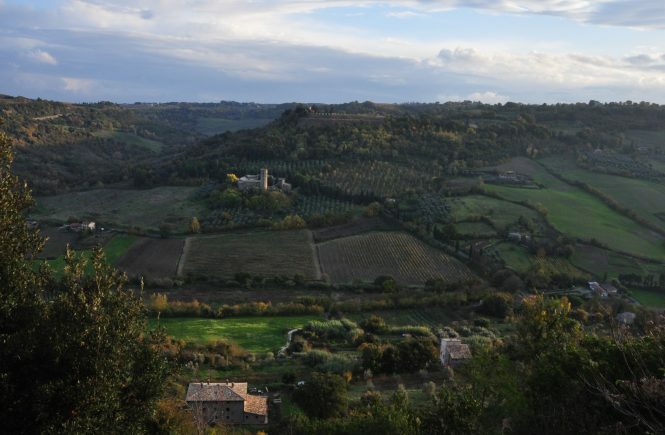 Orvieto is one of Umbria’s many excellent offerings, with the added advantage of being just an hour’s drive or train ride from Rome. 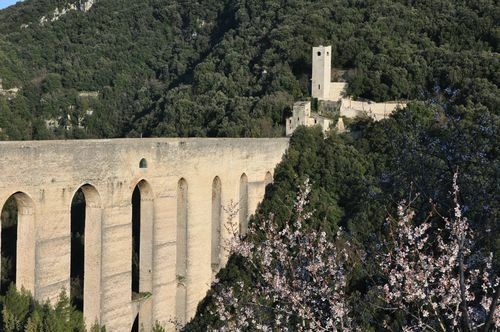 It boasts an Etruscan museum, underground tunnels, gorgeous views, great food, and a gorgeous duomo with game-changing frescoes (yes, I just said “game-changing” to refer to Renaissance art). 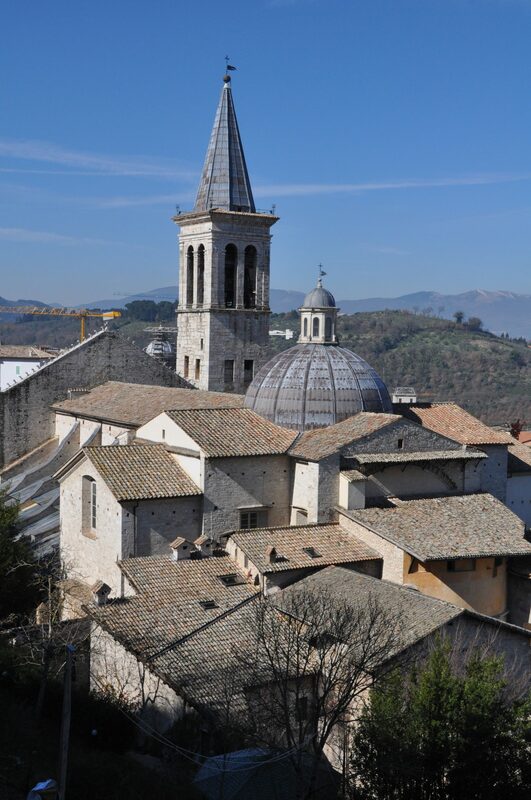 Oh, and those little winding streets, hidden churches and medieval-hilltop-town character that, if you’ve traveled in Umbria before, are ho-hum to you by now. (Just kidding. This stuff never gets ho-hum. I don’t think). Part of Orvieto’s unique character comes from its history. 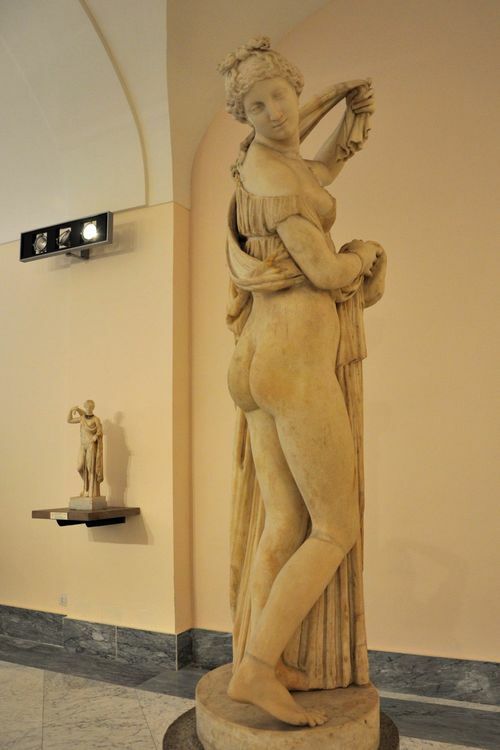 Etruscans lived here as early as the 8th century B.C., and you can still see — even touch — the remnants they left behind. Like the tunnels and chambers that they dug into the soft tufa underneath the current city. This underground, which includes some 1,200 caves, passages and chambers, is a labyrinth that reaches several stories deep. 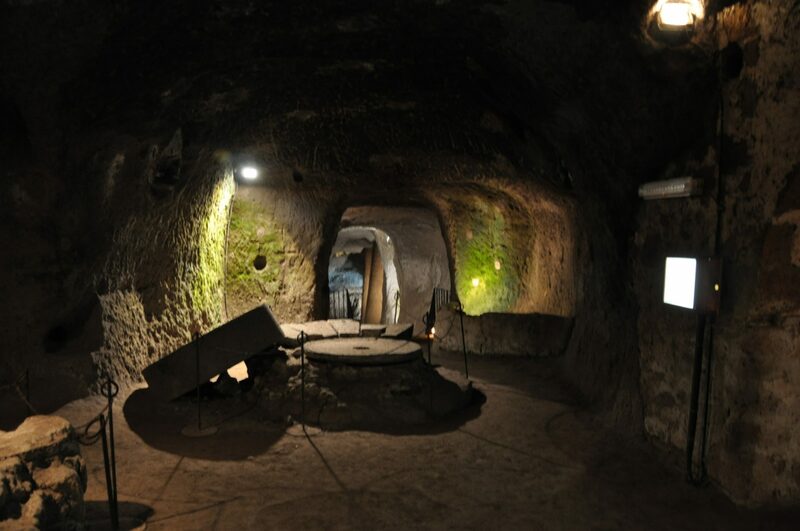 You can explore Orvieto’s underground either by taking a tour of a section of it (tours leave from the piazza of the Duomo, and take you through chambers with wells and olive mills built by the Etruscans), or simply by stumbling onto a section. Like at lunch. 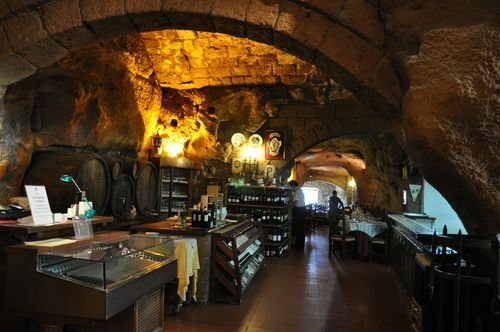 Below, the Grotte del Funaro, a restaurant that’s built into underground caverns where locals made rope in the Middle Ages. Don’t miss, either, Orvieto’s two archaeological museums. The National Archaeological Museum, right next to the duomo, boasts delicate bronze hand mirrors, sculpture with the paint traces remaining, and even a full suit of armor. All, you know, about 2,300 years old. The most exciting part, though, is the museum’s two chambers with frescoes taken from 5th century B.C. necropoli discovered nearby. If the rooms aren’t open, ask the guard to let you in. The other archaeological museum, meanwhile, is across from the duomo and has more finds from Orvieto’s prehistoric, Etruscan, and Roman eras. Then there’s the duomo itself. It’s… well, it’s a masterpiece. Begun in 1290, it’s the epitome of the Italian Gothic style, its exterior elaborate with mosaics, stonework and detailed carvings. Inside, though, the duomo is something else entirely. For worshipers, it’s most famous for an event said to take place not far from here in 1263: A priest traveling to Rome stopped at Bolsena to pray, and blood started to seep from the consecrated host. 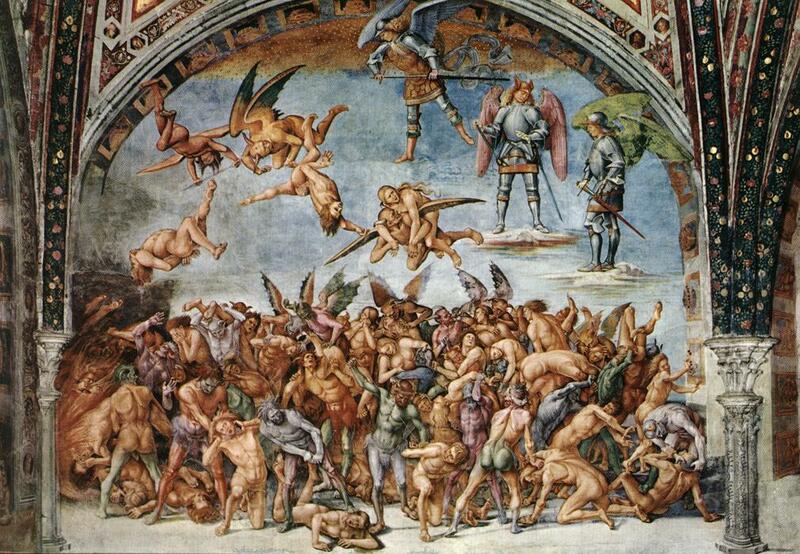 The bloodstained linen is still enshrined at the duomo of Orvieto, where it had been brought that year. It’s in the last chapel on the left, with 14th-century frescoes. But don’t miss, either, the last chapel on the right-hand side, which is where Luca Signorelli painted his Last Judgment in 1499. That’s thirty-six years before Michelangelo would start his own version, and you can see the inspiration Michelangelo took from the older artist: The vibrant, muscular, tortured-looking figures of Signorelli’s frescoes aren’t that far off from what you see in the Sistine Chapel today. Below, his image of the damned, courtesy of the Web Gallery of Art. 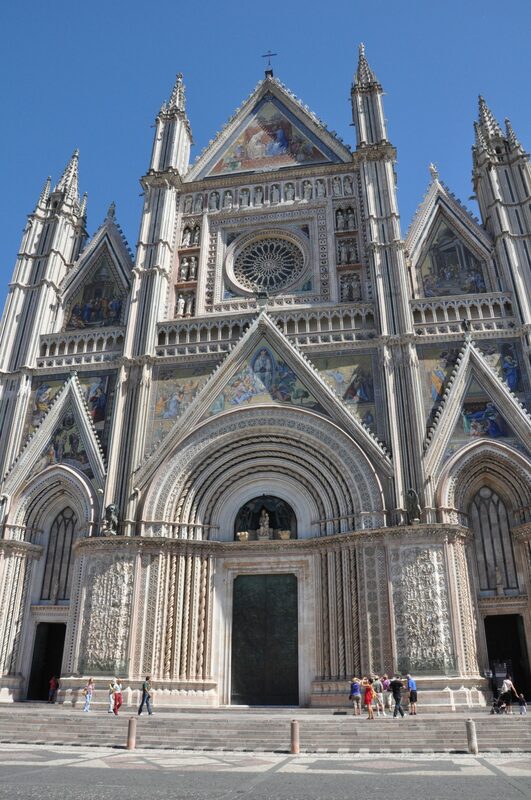 Etruscan tunnels, medieval duomo, Renaissance frescoes — but there’s more to do in Orvieto, too, whether exploring its myriad other churches or simply wandering through its streets. Don’t miss it. Orvieto is easy to get to; you can either drive (it’s a straight shot on the highway) or take the train, which takes from 45 minutes to 1 hour 20 minutes, depending on the price. Check train times at www.trenitalia.com. Be aware that the train station is at the bottom of the hill, so you will have to take the funicular up to the city. 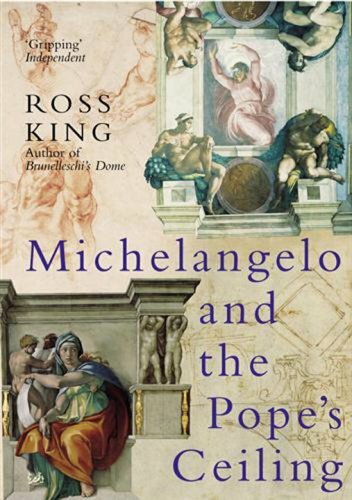 In Rome, it's the Italian Renaissance that gets the glory. In a city filled with paintings and sculptures by the likes of Michelangelo and Raphael, that's how it should be. But with such larger-than-life pieces, it can — ironically — be easy to forget in Rome just how influential Italy's renaissance was beyond its borders. 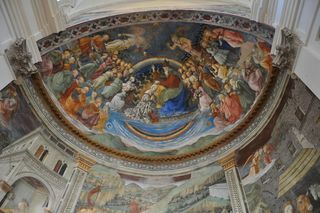 After all, the importance of the art isn't just that every tourist flocks to the Sistine Chapel to stare at more than 10,000 square feet of fresco. The real question is: Why do they? And, in no small part, it's because the Renaissance launched in Italy would go on to shape art both up until today — and across the entire European realm. Unless you're stopping in Germany and the Netherlands and England along with Italy, that can be tough to get your mind around on one trip. Until now. The Galleria Borghese is showing an excellent exhibit on the work of Lucas Cranach. Appropriately titled "Cranach: The Other Renaissance," it brings together, in one space, the pieces of one of the foremost artists of the German Renaissance with Italian Renaissance masterpieces… and the ancient sculptures that inspired both. Born into the same era as Michelangelo and Raphael, Cranach became a court painter to Saxony's Frederick the Wise in 1504. 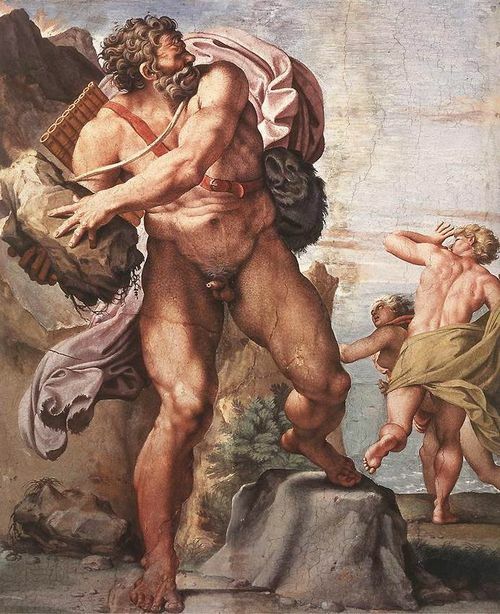 He would remain a court painter until his death in 1553. With his status, he had access not just to the rulers of the realm, but also to their art — which included pieces from the Italian masters. The relationship between his art and that of his Italian peers (or, in many cases, predecessors) is highlighted again and again. 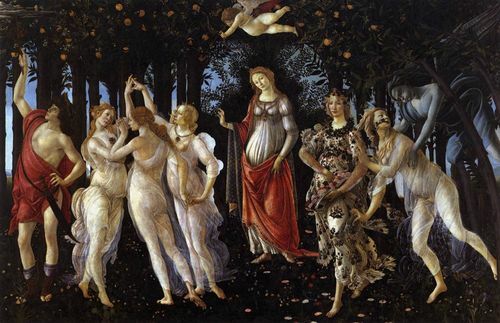 There's no looking at his "Primitive Man (The Golden Age)," for example, and not seeing the Florentine Botticeli's "La Primavera," executed some fifty years earlier. (Sadly, Botticelli's piece isn't in the Borghese exhibition, so you'll still have to go to Florence's Uffizi Gallery to get the full picture). Even while Cranach drew on Italian models, though, his style was all his own. His figures are less proportionate, the clothing more sumptuous, the messages more moralizing. And his Protestantism — a close friend of Martin Luther, he introduced Luther to his future wife and painted a widely-reproduced portrait of the couple (included in the exhibit) — significantly influenced his paintings, too. 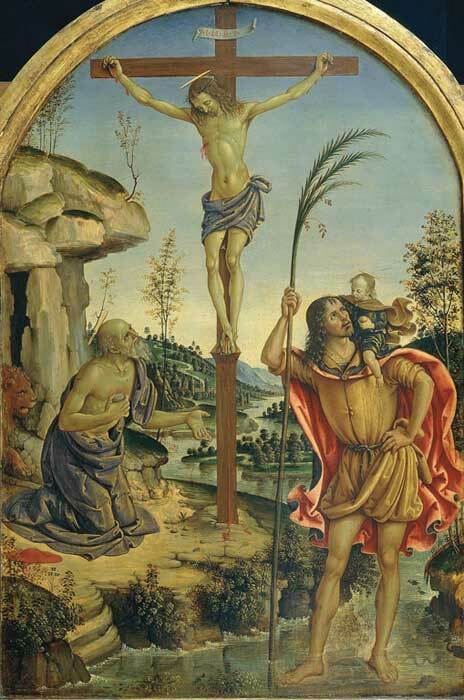 Just take his "Centurion at the Cross," a stark contrast to Pinturicchio's crucifixion scene. Hung side-by-side in the exhibit, the two paintings highlight the widening divide between Luther's followers and the Roman Catholics. 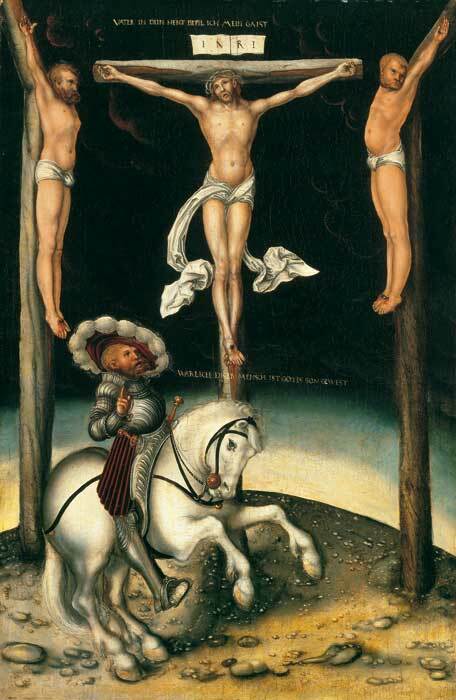 Cranach's crucifixion scene is stark, bare, the centurion's sighting of Jesus unmediated by anyone — or anything — else. His conversion is a lonely one, undertaken because of inner faith alone. Not so in Pinturrichio's piece. Here, the saints Jerome and Christopher mediate, praying both with — and on behalf of — the viewer. That's exactly what the Protestants rejected. The exhibit isn't perfect. 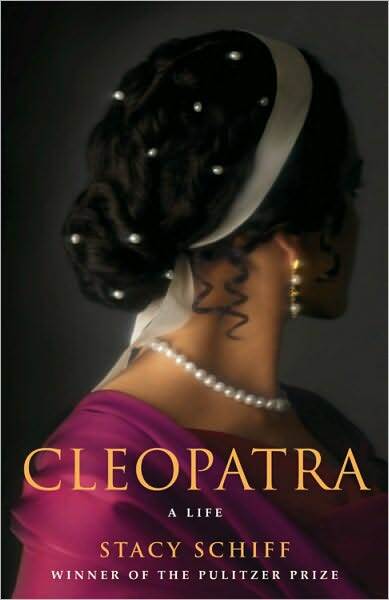 Some of the rooms seem to be reaching: While you could certainly have a conversation about various types of Renaissance portraiture from looking at a line of unrelated portraits of unrelated men, for example, the resulting jumble overwhelms. The exhibit is far clearer, and more effective, when it picks more precise themes to compare. Still, it's a treat even to just see so much of Cranach's work in one place. You can see both his style developing, and can tell when he hits on a marketable idea — like his "Ill-Assorted Couples," a humorous but moralizing theme he repeated more than 40 times in his workshop's output. It's neat, too, to see the influence he and other German Renaissance painters may have had on other artists in the collection. Take one of Cranach's "Ill-Assorted Couples," for example, and then take a look at Gerrit van Honhorst's "The Concert" (in the Borghese's permanent collection). 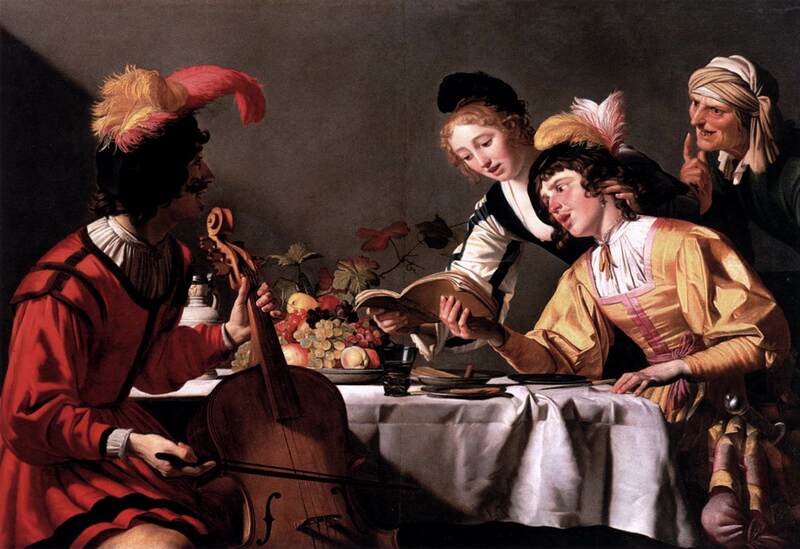 Yes, van Honhorst's piece is explicitly Baroque, not Renaissance. 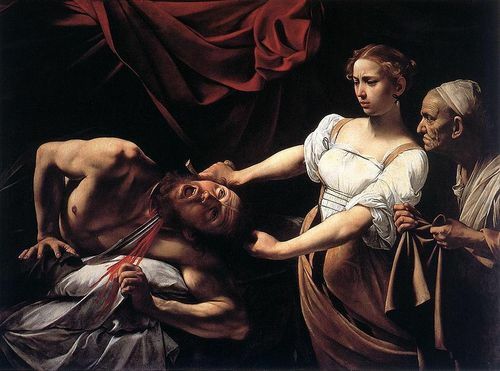 Yes, it's Caravaggesque in its realism and dramatic lighting. But van Honhorst also seems to draw something from his fellow northern painter — particularly in showing a joyful scene debased and warped, both humorously and with a moralizing intent. 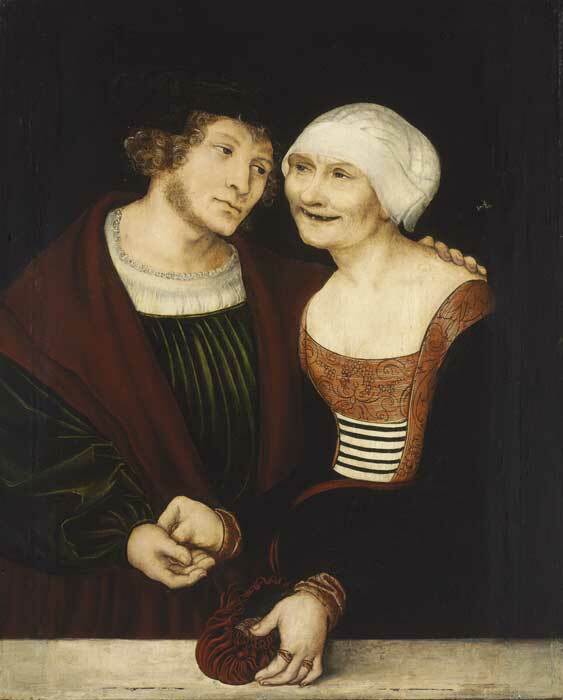 In Cranach's piece, is the old woman paying off the young man for love? In Honthorst's, is the young woman stealing the man's earring and about to pass it to the old woman behind her? How else are the scenes similar… and how, separated by 100 years and their respective art movements, do they differ? It's exactly those kinds of conversations you can have at the Borghese's newest exhibit. "Cranach: The Other Renaissance" is on at the Borghese Gallery until February 13. For more information about the exhibit, click here. 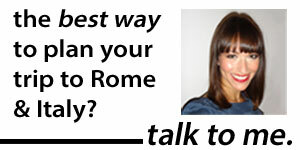 For more information on the Borghese, including how to book (you must book in advance), click here. 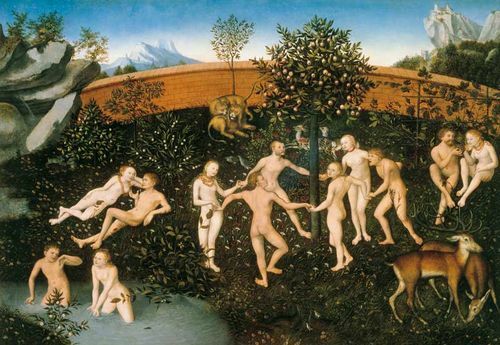 All Borghese tickets include entrance to the Cranach exhibit; the price for a ticket is now €13.50. All images above except for "La Primavera," "Venus and Cupid" and "Concert" courtesy of the Borghese Gallery. Images of the other pieces courtesy of the Web Gallery of Art. 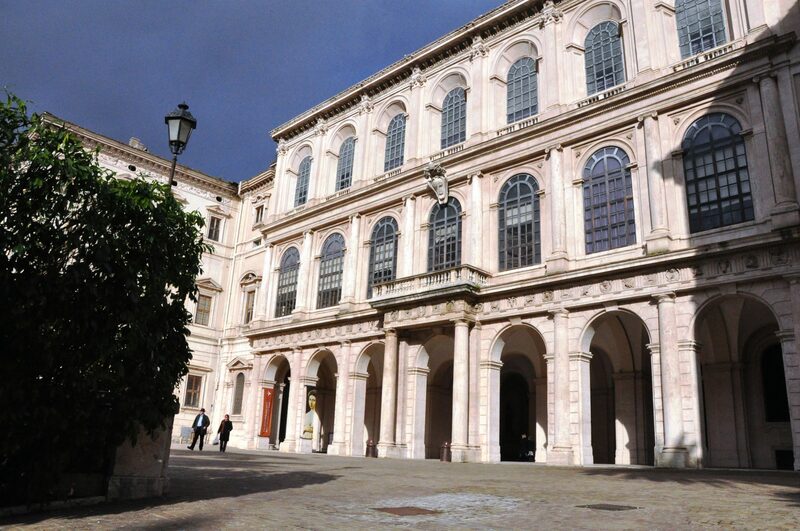 After two years, the €5 million restorations at the Palazzo Barberini have finished. To celebrate, the museum is opening its doors to visitors for free on Sunday, September 19. Called "La Notte di Raffaello" in honor of one of the collection's most famous paintings, Raphael's portrait of La Fornarina or "baker's daughter" (above), the inaugural event should include free guided tours to the public. The event begins at 6pm Sunday, September 19; the exhibit will also be open on Monday, September 20. (It's usually closed Mondays). 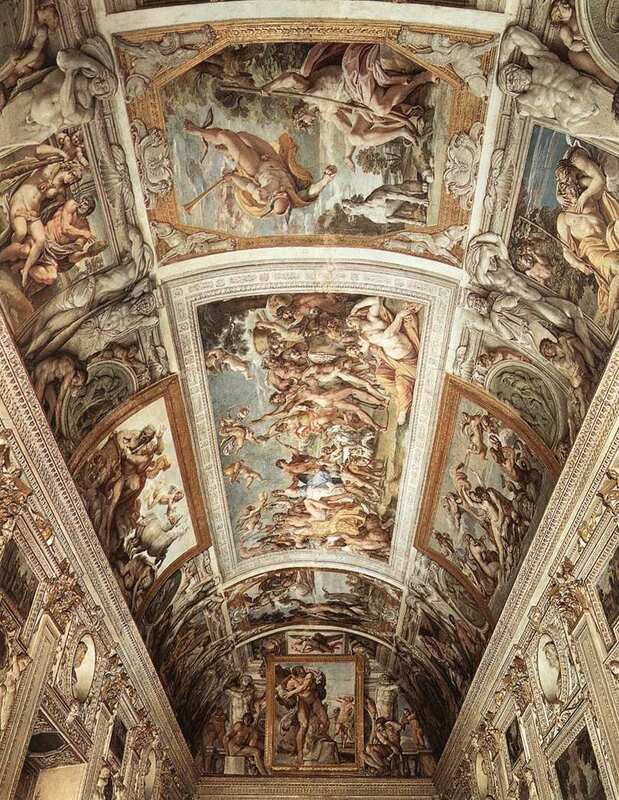 If you go, particularly make sure to check out the newly-restored fresco by Pietro da Cortona on the ceiling of the Grand Salon. 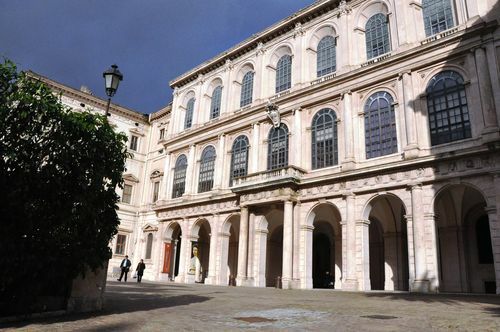 As of late August, the Palazzo Barberini folks still weren't sure exactly what the opening hours or when the guided tours would be, since they said (apologetically) that work is still continuing on the building. So stay tuned. I'll keep updating this post here as I get more information. 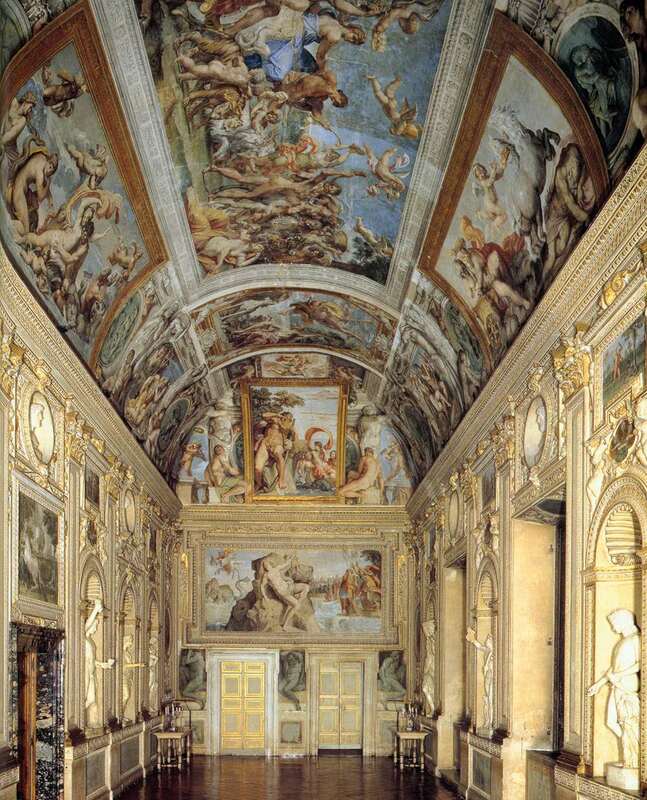 Update, 9/13: The Palazzo Barberini will definitely be open from 6pm till midnight on Sunday, and the Grand Salon will be open. However, they're still unsure about tour times.